Avoiding a patient blood draw and a duplicate lab test because your organization is connected to the Health Current portal is a good thing. If it means avoiding blood draws for your population of seriously mentally ill (SMI) patients, the connection means much more. When Southwest Network was first connected to Health Current, one of the most immediate benefits was the ability to check for lab work on SMI patients and avoid a blood draw if labs had already been done, according to Danielle Griffith, Corporate Compliance Director for Southwest Network. Being able to view previous lab results and see what medications had already been prescribed for their SMI patients was enough for Southwest Network to be “sold” on participation in the HIE; however, they wanted to find the best ways to take advantage of the connection to Health Current. 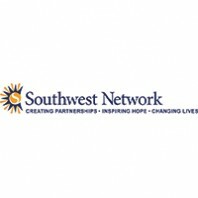 Southwest Network, a nonprofit charitable organization, has served emotionally disturbed children and SMI adults in Maricopa County since 1999. Services for children and adolescents are provided from three regional offices and at five Arizona Department of Child Safety offices. Services for adults are provided at seven outpatient clinics, including two integrated health homes that offer primary care services in coordination with behavioral health services. When Southwest Network began working with Health Current, a pilot team was given access to the portal and reviewed the information and services that were available. The team put together eight patient panels focused on two primary profiles of patients: a children’s group selected for acute needs and adult groups consisting of SMI patients who receive services 24/7 from their assigned Assertive Community Treatment (ACT) team and are deemed most likely to go to the hospital. Initially the aim was to develop a standard process for receiving and responding to Alerts. Overall, the response and the results have been good, according to Griffith. Southwest Network has realized two key benefits so far, Griffith said, including finding members through an Alert who are not currently engaged and re-engaging them in their behavioral health services, and finding members with new or existing medical conditions, like pregnancy, and tailoring services to support the health of the whole individual. She estimates their ACT teams now receive five to ten Alerts a week.